​Imagine what your vending machine can do for you. ​To improve and reinforce the services of traditional vending machines, AAEON has provided an intelligent solution to facilitate their functions. AAEON's Smart Vending Solution offers exceptional shopping experiences to the customers all over the world and has completely changed our typical view towards vending machines of the past. 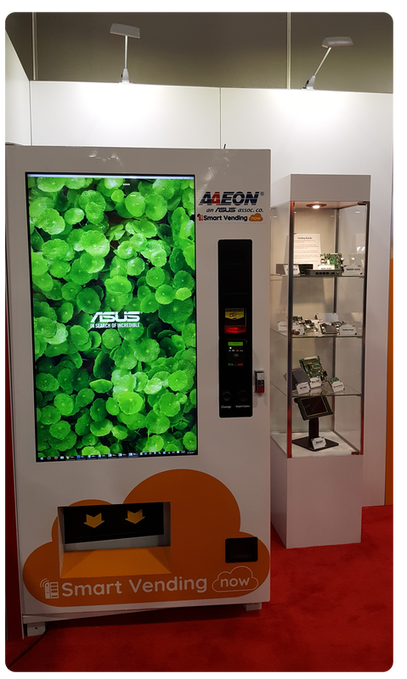 An abundance of benefits through AAEON's Smart Vending Solution include: major productivity life & new operator opportunities, telemetry & real-time business intelligence, remote management through the cloud, enhanced user interface & customer experience, digital signage, cashless & mobile payment options, and more! Revenue Increase - by increasing traffic flow via various means such as cashless payment types, digital advertisement, and big data. Cut Costs - decrease the amount of personnel needed to maintain and stock machines by increasing efficiency from remote management, therefore decreasing overall costs from fuel expenses, time, preparations, etc. Ease of Management - simply check the status of your machines from any device in the comfort of your home, everything from machine health to inventory levels. You're always in the know! How SMART can your vending machine be? Reduce overall operating costs by knowing exactly what and when to restock goods. This feature is easily managed by operators via mobile apps. 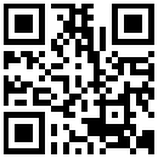 You can provide for a better product offering by identifying top-selling and slow-moving items in real-time. In addition, operators can alter product offerings by location, re-allocate inventory along routes, push slow-moving/near expiring items by offering promotional discounts on the fly! With real-time alerts, you'll know exactly when your machine is in need of repair, thus reducing operating downtime. Real-time inventory and transaction information empower operators with an exceptional wealth of knowledge and is easily navigated with the "At-a-glance Dashboard." Minimizing costs and maximizing profits are enabled through a multitude of business intelligence reports. Did you ever want to be two places at once? That is now a possibility with AAEON's Remote Management capability which allows for managing vending items remotely. Change item pricing, item information, control your machine temperature and lighting, and monitor its health in real-time or opt-in to be alerted. User experience is a key factor in the evolving landscape. AAEON's Smart Vending Solutions enables the ability for customers to purchase multiple-items in a single transaction. Customers can view nutritional information before making purchases. In addition, operators can offer promotional discounts on certain items remotely, create routine campaigns, provide coupons via QR code scans from online campaigns, or by volume/combination, individualized offerings, customer loyalty programs, and new customer sign up. What better way to obtain new revenue source than selling ad space? When vending is inactive, multimedia display ads can be presented in front of foot traffic, targeting any specific demographic depending on your location, and can be swapped out remotely! Enhancing the customer experience is key. Pay at the machine with credit card (NFC contactless or swipe), Google Wallet/Apple Pay/Samsung Pay (NFC contactless) or pay online and then pick up by QR code. Now Available, for as low as $599! Introducing AAEON's Smart Vending Development Kit, providing exceptional modern-day vending platform experience for both operators and consumers alike. An all-in-one comprehensive kit to get you started developing next generation Smart Vending machines, with state-of-the-art features such as Real-time Telemetry/2-way Remote Management, Digital Signage, Cashless Payment via single shared internet connection, to name a few! The kit can also be used to incorporate (or retrofit) the latest Smart Vending features into existing vending machines. Intel Software Development Kit (SDK) provides easy access to the powerful capabilities of the Intel Intelligent Vending platform. ​Easy-to-follow setup guide and reference material that will ease you into our solution and into the world of smarter vending. The product images shown above are for illustration purposes only and may not be an exact representation of the final product. ​The UP plus Basic Vending Control Board advanced solution enables full control of intelligent vending machines using MDB, EXE, DEX standardized communication protocols. Nowadays people have plenty of options in their wallets when it comes to paying for goods or services. With AAEON's solution, we acknowledge this and provide for a variety of payment options that are tailored to all types of transactions, allowing for a complete customer-centric solution. Your vending machines will sometimes run idle when they aren't swarmed by customers, and when this occurs, what better method of earning an extra source of revenue? Major brands are always on the lookout for potential display ad opportunities, with AAEON's Smart Vending Solution, you now have the capability to display multimedia ads during limited vending activity. Enrich the customer experience by playing all kinds of multimedia ads. Play video ads such as for an upcoming summer blockbuster flick, commercials enticing customers to curb their appetite for their favorite candy bar, local events, and more. The sky's the limit! 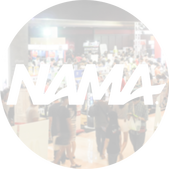 NAMA is the national trade association for the entire convenience services industry, including the food and refreshment vending, coffee service and foodservice management industries, including on-site, commissary, catering and micro markets. If you happen to have any related support questions, please feel free to contact us under the "contact us" section. AAEON is a leading designer and manufacturer of advanced industrial and embedded computing platforms. Committed to innovative engineering, AAEON provides integrated solutions, computing hardware and services for premier OEM/ODMs and system integrators worldwide. With continuous pursuit of innovation and excellence, AAEON became a member of the ASUS Group in 2011, further strengthening its leadership fueled by advanced technology from ASUS and leveraging resources within the group. AAEON is posed to offer more diversified embedded products and solutions at high standards to meet world-class design and manufacturing demands for years to come. requests for quotations, please do not hesitate to contact us! Please tell me more about the AAEON Smart Vending Development Kit!